What is better than playing games on a huge screen with state-of-the art headsets plugged into your ears so that it feels as if you are almost inside the game. Well, being inside the game of course. I don’t know why people even bothered to doubt the success of VR gaming in the first place, it is here and it is becoming huge. Just ask Sony. As per the NYT, Sony has managed to sell a massive 915 thousand virtual realty headsets, barely four months after they first went on sale. This could well exceed Sony’s own expectations, which stood at One million VR headsets within half a year. Now that the company has only 85 thousand headsets to go and almost 2 months left, we can expect it to meet, if not exceed, its internal goals. The Playstation VR was released in October and works in tandem with the company’s PS4 console. This not only saves users from the trouble of having to buy a high end gaming PC but considering the high penetration of PS4 for a gaming console (50 million systems sold as in December) the company had a huge potential user base in gamers looking to take their play to the next level of immersion. The system is relatively cheaper as well. Oculus Rift ($599 for the Rift headset alone) and HTC ($799) are not only expensive but they also requires users to get their hands on gaming PCs. Sony’s systems on the other hand, are not only cheaper at $499, but also save you the trouble of buying a gaming PC as you can simply use them with your PlayStation 4 console. 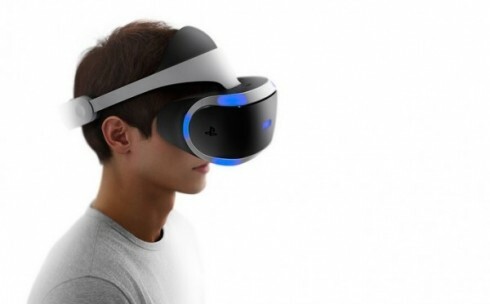 Sony’s figures not only prove that there is a demand for VR gaming hardware in the market, but also lay out a road map to going about supplying it. Oculus Rift and HTC Vive might be absolutely fabulous, however, reports put their user base as almost half that of Sony’s Playstation VR. Not only is Sony’s hardware cheaper, but it can also run off its own gaming console, meaning that users don’t need to spend thousands of bucks fixing up a gaming computer after spending hundreds while purchasing the headsets. I mean yeah, a career gamer would probably do it, but if you are planning to sell a product in volume, career gamers probably aren’t your best bet.